Daveswordsofwisdom.com: Sometimes silence is better. SOMETIMES its better to keep silent than tell others around you just how you feel. 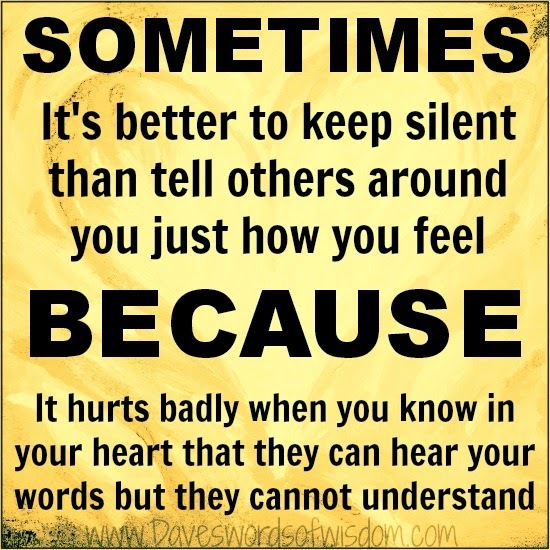 BECAUSE it hurts badly when you know in your heart that they can hear your words but they cannot understand.